The Inclusion Grant is one of the various initiatives started by the Council on Diversity, Equity and Inclusion to expand the College’s diversity and inclusivity initiatives. Three students, three professors, and several staff members were named inaugural recipients of the Barnard Inclusion Grant, which funds community initiatives that foster an environment of inclusion on campus, in an email sent to students from interim chair of the college’s Council on Diversity, Equity, and Inclusion Yvette Christianse on Wednesday. The grant is one of the various initiatives started by the Council on Diversity, Equity and Inclusion last fall to expand the college’s diversity and inclusivity initiatives. Students, faculty, and staff are able to submit grant proposals to receive funding for events such as speakers, workshops, and performances to promote a more inclusive Barnard community. Among the first recipients are Shreya Sunderram, BC ’19, for her “Inclusion and Equity Fellows” proposal which builds on the legacy of past events, such as the Bold Conference, which serves as a space for faculty, students, and staff to discuss issues of diversity and inclusion in the classroom. Also included in the list of grant recipients are Martha Tenney and Shannon O’Neill of Barnard Archives and Special Collections, whose proposals support various initiatives for the Barnard Organization of Soul Sisters, a student organization focused on building a sisterhood between black women at Barnard and Columbia. Another round of proposals will be accepted during the spring 2019 semester. We are pleased to announce the Barnard Inclusion Grant’s first cohort of recipients. The grant is a new initiative of Barnard’s Council on Diversity, Equity, and Inclusion created to finance projects and events that help enhance inclusion efforts across our community. Shreya Sunderram ’19, for her proposal, “Inclusion and Equity Fellows,” a program to fund events that will help foster conversation about diversity and inclusion across campus, featuring events such as the Bold Conference and Bold Legacy Events. 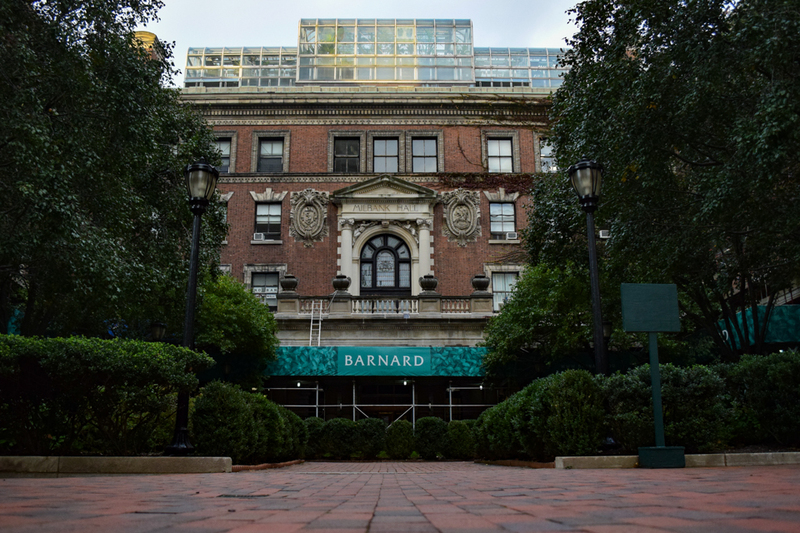 We are excited to support these proposals through the Barnard Inclusion Grant and look forward to the positive impact that they will have on our community. You will be hearing more about all of these projects from the grantees and in the Council’s quarterly newsletter. Please join me in congratulating the inaugural grant recipients. We will be announcing a call for another round of proposals during the Spring semester and encourage everyone to apply. As always, please feel free to reach out with any questions, to diversitycouncil@barnard.edu.